Hello hello! 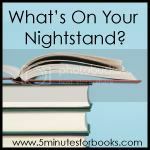 Nightstand time again. We're just rushing right along through 2015 here, aren't we? Well, last month I knew we had some travels coming up and I wasn't going to be able to get very much reading in. I mentioned that I wanted to re-read the Anne of Green Gables books and that was due in great part to the fact that we had plans to visit Prince Edward Island as a delayed 10th anniversary celebration. Visit the Island we did! (You can see where we stayed for part of our trip if you like.) 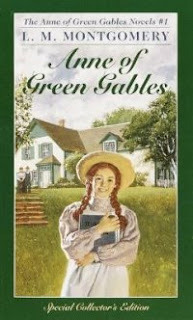 Before leaving I managed to read Anne of Green Gables and Anne of Avonlea. As our plane was landing in Charlottetown I finished the last two pages of Anne of the Island (which I'll review shortly). It was a perfect, thrilling trip. We loved it. And I was personally glad to have visited with Anne again before going. Last month I committed to reading Hutterite Diaries and did so. The title is linked to my review. Likewise, I also committed to reading The Accidental Feminist for review purposes. (And then too, quite frankly, simply because I am extremely curious about it.) I took this book along with us on our vacation and made it about half way through. I hope to finish it by the end of this week and have a review up the next. In July I'll be hosting the SIXTH annual Chronicles of Narnia Reading Challenge. I'll be hosting this in conjunction with our classic book club so that at least my kids and I can focus pretty much exclusively on Narnia. We, of course, hope that many of you will choose to join in and pick up a Narnia book (or two?) this next month. You can find out more about that by clicking on the button above. I'll have a post to kick us off on Wednesday, July 1st. As you regular readers/friends around here know, I'm basically dabbling in my favorite books during the month of July. I'd like to finish the Anne series and read Narnia. The combination makes me happy and I anticipate the fun. I love reading (or rereading) beforehand too. Glad you were able to finish your books before your visit and that you had such a delightful time! I'll look forward to your review on The Accidental Feminist as well as your thoughts on The Little Prince. A curious book indeed. I'm glad I'm not the only one behind on reading great books. Summer is supposed to be my time to "catch up" on reading, but it's not working out that way. I've read a few lighter things, however. It might be time to visit Narnia with my littles. . .giggle, tee hee! How neat not only to visit PEI, but to read of Anne just before! I'm not quite ready to start the Narnia series again - as you've said, once I start a series it's hard not to want to read it straight through, and I'm not wanting to get into that just now. But I have a couple of Narnian related books on hand and want to get through at least one, maybe both. What a dream to re-read some of your favorite books just as you're arriving at their setting ... sigh! That is lovely. 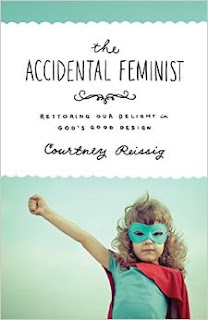 Anxious to hear thoughts on the christian feminist book! You are making me feel inclined to pull out my Anne books.